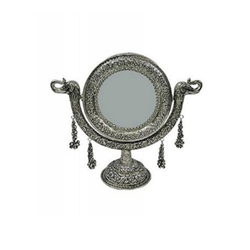 Prominent & Leading Manufacturer from Jaipur, we offer gold plated hand mirror, white metal hand mirror, silver mirror plated with stand and gold plated table mirror. 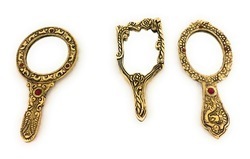 We are manufacturing Hand Mirror in fine work with hand carving and fine oxidized silver and oxidized gold finishing. 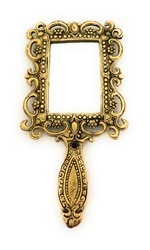 We are manufacturing gold Hand mirror and more in fine hand carving work in oxidized silver and oxidized Gold finishing. 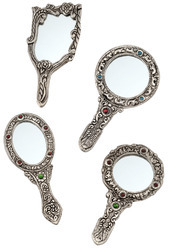 In order to accomplished the exact needs and demands of our buyers, we are emerged in manufacturing and supplying a best quality range of White Metal Hand Mirror in the market. Besides, these round hand mirrors have aesthetic appearance and excellent polishing which not only boosts its quality but also its life. 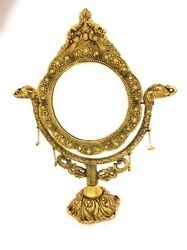 We are manufacturing gold plated table mirror in fine hand carving work in oxidized silver and oxidized Gold finishing.